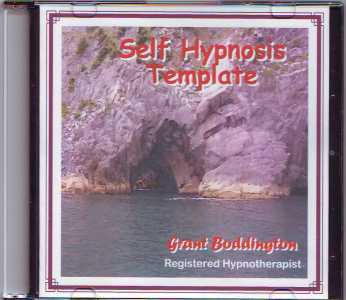 Hypnotherapy downloadable MP3 recordings direct from Registered Clinical Hypnotherapist, Grant Boddington. MP3s to assist with self improvement, motivation - and sexual, personal, business and sporting enhancement. Hypnosis Download MP3 In just 20 minutes a day you could improve your life faster than you ever dreamed possible with Hypnosis. Learn and apply the power of positive visualisation and affirmation and apply it to a positive life! 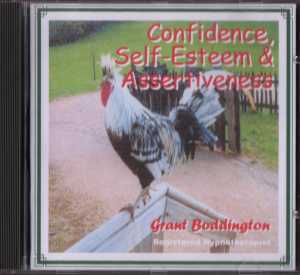 Hypnosis Download MP3 If you'd like to feel more confident when dealing with others and feel better about yourself, then it's very possible you need an injection of Confidence, Self-esteem and Assertiveness from Grant Boddington! This is the possibly the most useful and greatest advance in "Self Hypnosis" since man first realized that a human mind is programable by his own thoughts and words! Hypnotherapy based fertility management that you use in the privacy of your own home. An MP3 recording to lead you though Hypnosis relaxation exercises and help prepare your mind and body for conception. 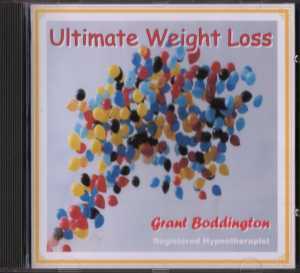 Hypnosis Download MP3 Many struggle with weight management issues at some point. Learn to manage input & output of energy as you aim for the weight, size & shape of body you want. 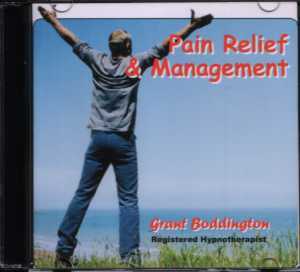 Hypnosis Download MP3 Learn how to use Self Hypnosis to assist in the management of minor pain and discomfort. NB: Pain is a signal that something is wrong and should always be diagnosed by a doctor. Learn how you might improve the size, shape and firmness of your breasts with Hypnosis. This 4 way program is a combination of visualisation, affirmation, massage and exercise. 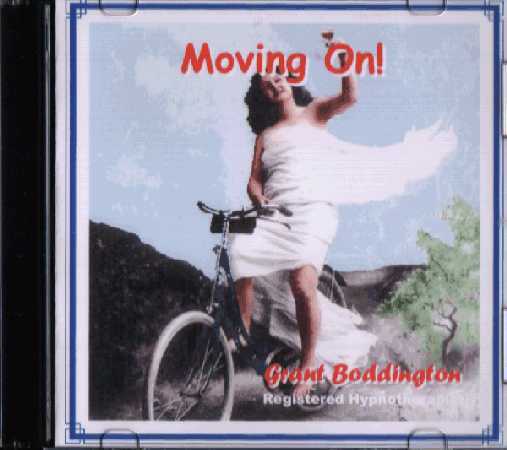 Hypnosis Download MP3 Moving On can be so much easier with Self Hypnosis. Learn how you might lessen the negative effects of mental physical or sexual abuse & move on positively. Master your own mind, body & life! Hypnosis Download MP3 Becoming 100% smokefree can be easy and natural with Hypnosis. So, why allow smoking to control you, when you could learn to manage your own mind, body and life ... yourself! Hypnosis Download MP3 Learn how to to calm and slow your mind and body - to relax or sleep easier, faster anywhere you choose with Hypnosis. Simple voice and body triggers can enhance your level of relaxation at any time or place. 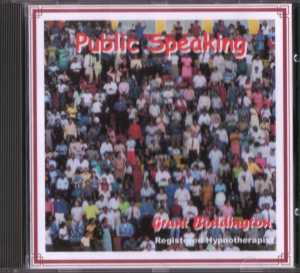 Hypnosis Download MP3 Close your eyes and picture yourself standing in front of a huge audience. Imagine them attentive to your every word; eagerly absorbing whatever you're telling them. Self Hypnosis can help! 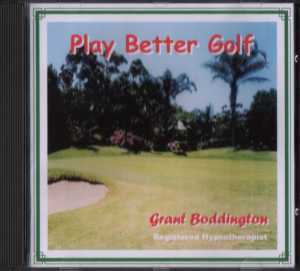 Hypnosis Download MP3 Many great golfers and those who study the game of golf agree that golf is played more in the mind than on the fairway. Learn how to program it with positive suggestion and visualisation - and you could win more of your golf games. Hypnosis Download MP3 You could become more sexually aware and efficient with this powerful insight into male sexuality and performance. Learn techniques that may increase stamina, firmness and pleasure. 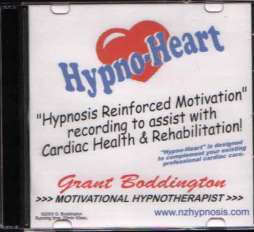 Hypnosis Download MP3 Support and management of Cardiac Rehabilitation after heart attack. Designed to complement existing cardiac care from your health professional. This exciting new program from Grant's friend Venus Woods, cleverly combines the power of suggestion and visualisation into one simple Hypnosis MP3 audio recording. Simply listening to it on a regular basis is designed to change your mind, which may then assist you in changing your body - should you subsequently choose to perform the excerises in reality. 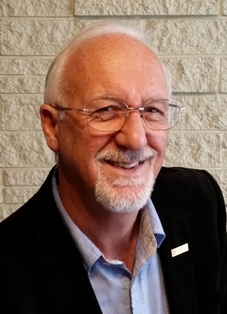 Why Do Hypnotherapy Recordings Work So Well? Hypnotherapy recordings use a style of Hypnotherapy called Suggestive Hypnotherapy, which requires you to make a personal commitment to your own self-improvement. Self-improvement occurs when you relax while listening to very specifically structured positive and repetitious suggestions. In this way, those suggestions are more easily and permanently accepted, resulting in changes that you want and that you allow. 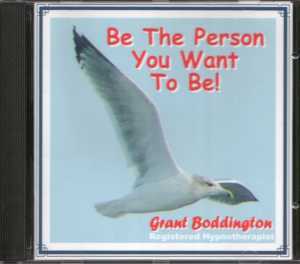 Grant Boddington's Hypnotherapy recordings are generally less than 20 minutes in length to allow for a more regular and frequent use. NB: Weight loss takes time and effort to be successful. People should seek professional advice on diiet, exercise and lifestyle changes. Individual results may vary.